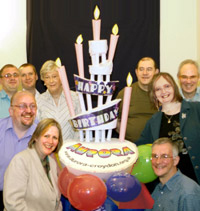 Aurora, Croydon’s LGBT Police Consultation Group, is celebrating five years of achievement. Aurora provides a forum for members of the local Lesbian, Gay, Bisexual and Transgender communities to meet with the local police to discuss matters of common interest. Dedicated Police Resource: Successfully lobbying to get dedicated police support – initially with a PC working part-time, and now we have David Kay in Croydon - a PCSO working full-time on LGBT and victim issues. This has massively increased confidence in the LGBT community and enabled LGBT policing issues to be addressed more effectively. Tackling LGBT Bullying in Schools: Aurora launched a project, funded by Awards for All, and now close to completion, for the co-chair of Schools Out and LGBT History Month to go into schools in Croydon to equip teachers with the tools to address bullying and equality on all grounds – race, gender, faith, disability, age and sexual orientation. This recognized that many schools were and are ill-equipped to deal with LGBT bullying; the project is now being rolled out to other parts of the country. Shared Intelligence: Aurora provided a forum for sharing intelligence and lessons learnt regarding crimes with an LGBT aspect. Voice on CCPCG: Aurora, on behalf of the LGBT community is a member of Croydon Community Police Consultation Group, so ensuring that LGBT issues are raised when appropriate. He added: “I look forward to the Police and the LGBT community working even closer, for the benefit of all in Croydon. 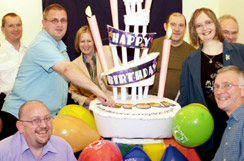 For more information, see Contact Us, or see other achievements as of May 2008.